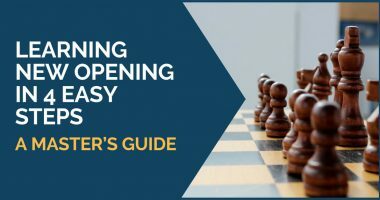 There is a lot of chess advice flying around. Some is valuable; some may be useless or even harmful. The problem is most of the times it‘s hard to differentiate which one is which. If advice is coming from a GM or IM does it mean it is always valuable? Will it work for you? Possibly, but not necessarily. 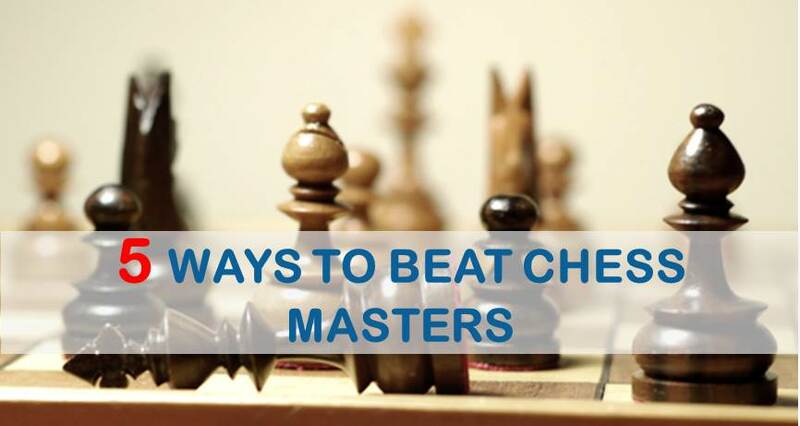 Many chess players are skeptical about advice, even if it comes from a much stronger player. 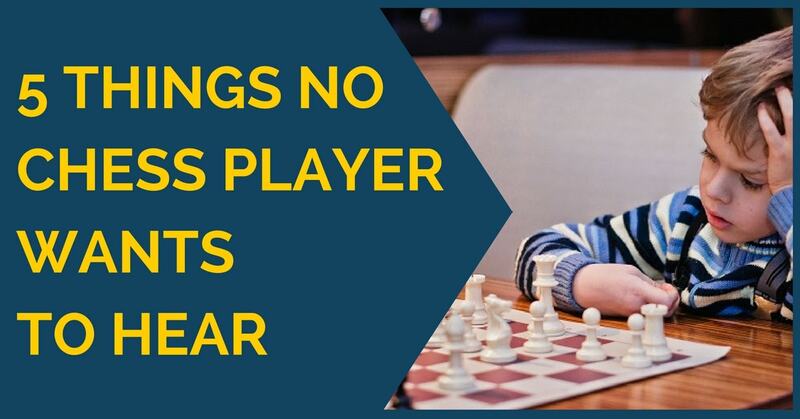 Today we will learn about five things no chess player wants to hear. There is a common idea that in order to become chess master one needs to play 10,000 games. There are two types of players, those who believe and those who don’t. First category thinks that 10,000 is a magic number and once they pass it they’ll automatically become master’s strength. Second category thinks that 10,000 is way too many games, and don’t want to hear about it. Is it true that to become a master you need to play 10,000 games? Simply playing ten thousand, hundred thousand or even a million games is not enough. The point of playing those games is to learn something and to move up in a chess ladder. You can play ten thousand blitz games, but it won’t help you a bit. However, you can play only 100 games against a stronger opponent with post-game discussion, full game analysis, note taking, and become a totally different, much stronger player. When amateur players analyze games they 90% analyze their wins. We ran a contest here on TheChessWorld.com when chess players could submit their games and an IM would analyze and publish it. Out of 50 games we’ve received only 2-3 were loses and 1 was a draw. The rest were wins. I understand how hard it is to analyze your mistakes and “unluckiness”, but that’s what really should be done if you want to learn from those mistakes. The idea is to retrieve your thought process after the game, possibly with a stronger player or a coach sitting next to you. Then certain corrections can be made, and many future games saved. That’s something being suggested very often by those higher rated players. What’s wrong with using an engine to analyze your games? Isn’t a very convenient to run the analysis in under 2 minutes without much effort at all? It is indeed convenient, but how much would we learn from seeing things like this: “? !”, “+0.21” or “-1.2”? Surely, we will learn that one player’s position is better, but very often those under 1800 rated players won’t even understand why. Using a chess engine to analyze games is definitely a lucrative shortcut that many are taking. Chess players mislead themselves thinking that but running a 2 minute engine analysis they actually analyze the game. Computer did, but most likely no one learned anything in the process. Most importantly you won’t know why you made the mistake and how to avoid it in any future games. The question remains not when you can start using the engine, but rather how to use it effectively. Every player knows that solving tactics is a way to go. Many take this task way too seriously and spend hours a day solving tactics. This is totally not necessary. There are two main types of tactics exist: pattern recognition and calculation. The pattern recognition problems hardly take any time if you know the pattern. If you don’t, you may spend hours and never find it. 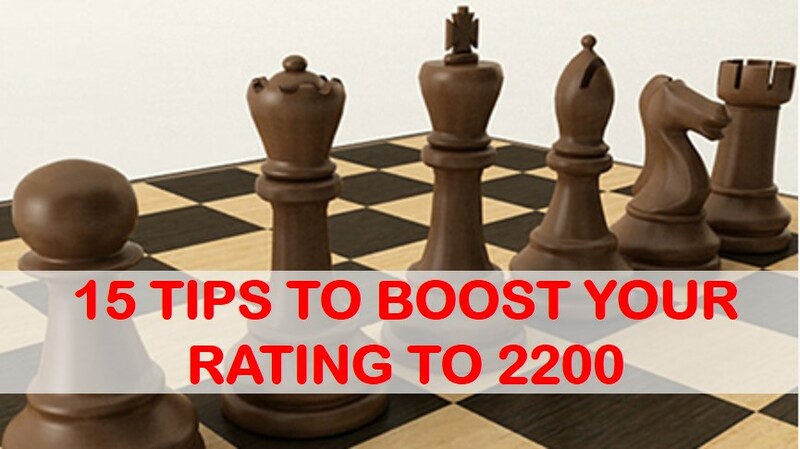 Many chess coaches suggest spending not more than 20-30 minutes a day on this kind of tactics. The idea is to saturate your mind with various tactical patterns, which you could later use in games. It is estimated that chess master knows about 2000 tactical patterns and can quickly identifying those in practical positions. The goal is to be able to find these patterns in less than 1 minute. Getting to this level of proficiency takes at least two years of consistent training. These are just estimated numbers and they should not be taken literally. There are always exceptions. Second type of tactics is calculation. It is especially helpful for those a bit higher rated players who already have some pattern foundation. These are much harder problems, and they may take 10-15 minutes to fully calculate. If you want to work on both types of tactics in one session you can spend 15 minutes on pattern recognition and 20 minutes on calculative tactics. “You don’t play enough tournament games!” That’s what many players hear the most. How many games is enough and how many is too many? No-one knows the answer to that question. Taking a look at the number of games elite Grandmasters played in recent years we see that the average is being around 75 games/year. It is hard to say if club players should try mimicking the playing schedule of professional chess players (probably not). Objectively speaking you should try playing around 50 tournament games per year to see some results. That’s just under 1 game per week.